Microsoft confirmed Thursday that it had begun rolling out its Lumia “Denim” update for WIndows Phone, officially bringing Windows Phone 8.1 Update 1 and improved camera functionality for supported devices. Microsoft is pushing Denim somewhat piecemeal across different geographies and phones, however, so some of the features may arrive on different phones at different times. And there's no official timetable to bring it to the United States—although it should arrive on American shores fairly soon. 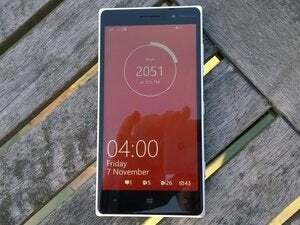 The Lumia Denim update ships as part of the Lumia 830, the Lumia 730 dual-SIM variant, and the Lumia 735. All other Microsoft Lumia Windows Phone 8 phones will receive Denim sometime before the end of the year—subject to carrier approval, of course. Denim includes the official rollout of Windows Phone 8.1 Update 1, with the ability to combine apps into folders, merge messages for forwarding and replies in the Messages app, plus improvements like a Store Live Tile and a consumer VPN function. (Some of you have been able to try out Windows Phone 8.1 Update 1 via Microsoft's "developer" program.) Microsoft’s digital assistant, Cortana, is also arriving in the United Kingdom and China as a “beta” app, as well as to Australia, Canada, and India as an alpha app—all as part of the Denim update. For those who've been frustrated by the lengthy shot-to-shot and focus performance of the otherwise excellent Lumia camera hardware, Denim’s camera improvements will also be welcome. However, they’re being deployed as part of a new Lumia Camera app (the older Lumia Camera app is being renamed “Lumia Camera Classic”). Lumia Camera, however, will be available only on the newer, higher-end Lumia models: the Lumia 930, Lumia Icon, Lumia 1520 and Lumia 830—not the 1020, with its massive 41MP sensor. Lumia Camera capabilities will include a faster shot-to-shot speed measured in milliseconds, Microsoft said. Moment Capture will trigger 4K video recording via a long press of the button. Rich Capture automatically captures exposures for HDR photos that can be added after the fact, and a Glance Screen can place data from Bing Weather or Bing Health and Fitness on your lock screen. Phones with the SensorCore technology—the Lumia 930, Lumia Icon, and Lumia 1520—will also be able to trigger Cortana by saying “Hey Cortana” as a trigger phrase. Here’s what it all boils down to: If you’re an American Windows Phone owner, you’ll be receiving Denim as part of a carrier update, possibly by the end of the year. But only the Lumia 930, Lumia Icon and Lumia 1520 will get both the Lumia Camera update and the “Hey Cortana” active listening feature. The Lumia 830 will get only the Lumia Camera update. We haven’t had a chance to play around with the Lumia Camera app or the Cortana active listening feature. We'll let you know when those features arrive on one of our phones.